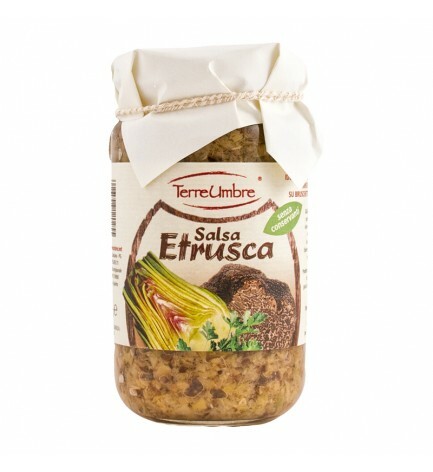 Ingredients: artichokes, green olives, black olives, extra virgin olive oil, salt, garlic, truffles, spices and herbs. After opening store in the fridge for up to 7 days. Our sauces are preservative free. Tips: Ideal for bruschetta and sandwiches are also excellent for pasta or meat flavor. This is a type of flat bread made with flour and water. It is cooked on a stone slab or ‘testo’ from which it takes its name. It can be eaten simply as bread or filled with cured meats, cheeses and vegetables. This was the first type of pasta created by the Etruscans. Strangozzi are made using flour and water. The dough is rolled out into quite a thick sheet and then cut into strips. Each strip is then rolled between the palms of your hands to make a kind of thick spaghetti. The Etruscans ate lamb either roasted or stewed. The meat was hung and prepared with red wine; it was cooked using aromatic Mediterranean herbs, just as it is today. At the time, given the means available, game was very difficult to catch. Wild boar hunting was done in groups with the help of hunting dogs and the animal was killed using spears. The meat was hung to diminish its strong gamey flavour, exactly as it is today. In the forests, wood pigeons were hunted using bows and arrows and the meat was eaten roasted. In ancient times this was one of the staple foods of the Etruscan diet. The chestnut tree not only provided precious food but also wood for making things. Chestnuts were eaten either boiled or roasted. They could also be ground to make flour for baking. An energising drink that complemented food, wine was an integral part of the Mediterranean diet and was often consumed during ceremonies and banquets, this much can be seen from the finds made during archaeological excavations. Although the technique of making wine is largely unchanged the end product has undergone many changes and wine, as we know it today, is very different from the product that Etruscans would have drunk. In ancient times oil was a very important substance. The Etruscans used it not only for cooking, but also as fuel for lamps and in medical remedies. These played a fundamental role in the diet of times past. They were both a tasty agricultural product and a good source of carbohydrates and proteins. Among the poorer classes meat was considered a luxury item and therefore the protein provided by pulses was even more important. We know that the Etruscans regularly ate beans, chickpeas and broad beans in the form of soups and in focaccia prepared with different types of flour, much as we do today. Spelt is a grain of the Gramineae family. 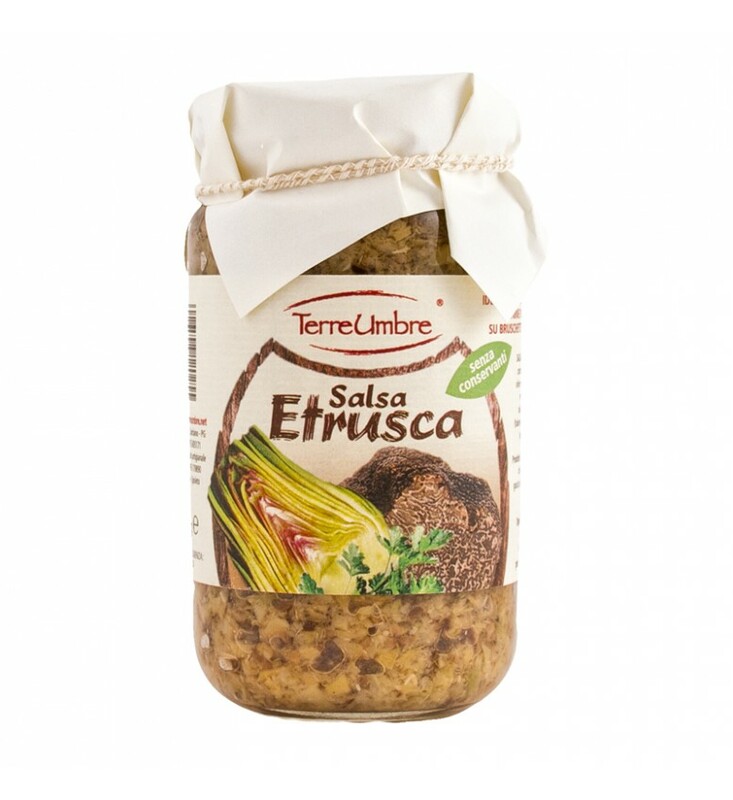 The Etruscans used it in soups and side dishes. There is no documentation on the use of these ingredients in Etruscan cooking. We can only imagine the various uses that they were put to based on how they are used in the Tuscan and Umbrian culinary traditions. Dried fruit and nuts are indeed, often eaten and enjoyed together with cheese and honey. In Etruscan times honey was very precious as it was the only ingredient that could be used to sweeten other foods. Sugar, extracted from beet, was only introduced to Europe after the discovery of America.